Scottish electro favourites CHVRCHES are returning to the Hydro Glasgow in Feb 2019 for a show supporting their newest album ‘Love Is Dead’. With their eyes on a bigger price, the three piece of Lauren Mayberry with Martin Doherty and Iain Cook, have crafted another perfect slice of synth infused pop, taking us further from their 2013 debut ‘The Bones of What You Believe’. Fans can expect some old gems like ‘The Mother We Share’, ‘Clearest Blue’, ‘Leave a Trace’ and recent tracks ‘My Enemy’ and ‘Get Out’. 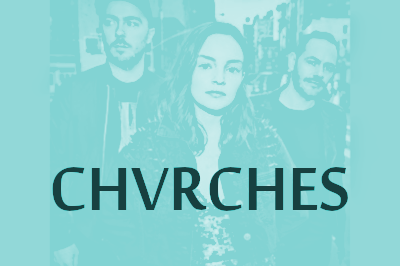 Tickets for CHVRCHES at the SSE Hydro Glasgow on Saturday 16 February 2019 are on sale from Friday 20 July, check with these sellers to get yours.